This post comes from Anthony Fontana at our partner site Zing! Is there anything worse than moving? Before you call me lazy, I’m not talking about moving from the couch to the refrigerator for a beverage. I’m talking about moving from one home to another. It’s a pain, right? Not only do you have to find a new place to live, you’ve got to deal with switching addresses, packing and finding a new favorite pizza joint – to name a few. 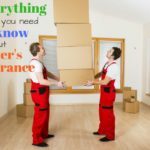 One thing that many people have going for them when it comes to moving is time. Time to find a new home. Time to pack and make sure nothing important is left behind. Time to plan. Every situation is different though. What happens when time is minimal? Whether it’s relocating to take a new job that begins ASAP or moving to get a fresh start, sometimes there isn’t a whole lot of time. What do you do when this happens? In my experience, I curl up in a ball, lay on the couch and hope everything will magically come together. Note: Don’t follow after me. It doesn’t work. This means get rid of the junk. Start with clothes. Everyone has clothes they haven’t worn in years. Donate them. A short peek into my room would reveal college books I haven’t looked at since … well … college. The next time I move, I can assure you they will be first on my list of things to get rid of. A general rule of thumb is if you have to think about whether or not to keep something, you probably don’t need it. You don’t have time to go out and purchase stuff like wrapping paper at this point. Good thing you’ve got t-shirts you can use to wrap your favorite coffee mug and picture frame. This can also go a long way when it comes to budgeting for gas, food or an overnight stay if your new location is far away. You don’t want to move into your new home with 50 boxes full of mysteries. Even though time is of the essence, it won’t take long to label boxes with tags like “Main Bedroom, ” “Living Room, ” “Bathroom, ” etc. During my last move, I completely forgot to change my address. When it came time to get Internet, gas and electric at my new residence, it was brought to my attention that I had a previous balance to pay because I hadn’t cancelled anything at my old place. Don’t forget to contact your bank, magazine subscriptions and any other services that may be registered at your old address. If you know you’ve got two weeks before you have to move, don’t go pick up enough groceries to last a month. The less you have to bring with you, the better. That’s what friends and family are for. Whether it’s helping you pack, cleaning up your old home or anything else you need, I’ve found that beer and pizza are motivating factors. If you need more help, consider hiring movers. With a limited amount of time, hiring a company may be your best bet. When you’ve got to move quickly, you don’t want to wait around. Be proactive. Use your free time to pack, clean or plan. You’ll be thankful you did in the long run. Has anyone been forced to move with a limited amount of time to plan? Do you have any additional pointers? Let us know in the comments below! My neighbor just retired, out of the country, after living 20+ years in a 3 bedroom suburban home. She had to unload almost everything from cars to contents. Her sister helped but the project took almost 2 months. They discovered the lifetime of “treasures” were worth less $$ than she’d hoped. Her comment to me was regret for not using one of the estate services that charge $1,500 or 25% of the sales, whichever is larger. Don’t don’t know her final cash haul but I know it made for a very stressful few months. I had to move into my new place in ten days. Rather than sorting through what you don’t want to take, take a Shopping Trip through your home. Pack all belongings you must take and want. Then whatever is left over send to trash, recycle, or thrift store.